While it seems I am just repeating what others are saying on the topic, please bring back mekanism. Mekanism is a wonderful mod that is essential for day to day operations on voltz. While rotarycraft is neat and has many machines for different purposes... It just doesn't cut it as a valid replacement. It is incompatable with many of the power requirements of other mods withing voltz. Mekanism also provides the ability to automate one's power at an early level (something much more difficult with rotarycraft). These are only my opinions but seem to be shared by at least a few others. Now there are aspects of rotarycraft that are desiarable, however if given the option to choose between the two... I would choose mekanism. I tried rotarycraft and its very fun stuff, its a totaly different energy system, BUT its not voltz anymore with it. The energy system is so much different then any other mods we seen that you should made a new modpack for it. Thermal expansion, mekanism and rotarycraft are three "core" mod and in my head they are exclusive to one another. Totally agree. I thought the original spirit of VOLTZ was to have a modpack with a consistent power type. Also a friend notified me that UE/AMPZ has a 1.6 release as well. The more I play with rotorycraft the less I like it. Compatability seems to be a huge issue here. I would love to see Rotorycraft just go away and UE with the rest of Ampz return, especially Electric Expansion, I really miss the transformers and Quantum Batboxes! we don't need elcric expansione , we need mekanism. It seems that iron can't be processed with Archaic methods in Resonant Induction in this pack. Also there still exists a duping glitch in the engineering table for any ore not placed in the center slot. Would an update to the newest version of RI fix these issues? Electric expansion was discontinued back in 1.4, never made it to 1.5. That's why it isn't in voltz. Ultimately, my question is- why. Why rotary craft instead of mekanism. Obviously they have their reasons, I just simply can't figure out why. Too easy of a mod? Too OP? They want to see us complain? Or do you simply want everyone mad so you can discontinue the pack. Not being funny but Voltz is voltz. Mods and all. Change most of the mods and it should not be called voltz. Please just update Voltz with all the 1.5.2 Mods to 1.6.4. Thats all everyone asks. It would help the user base that is used to Voltz and would also allow your new voltz modpack to actually take off fast and not slowly. My players do not want to learn a completely different playstyle. They just want to be able to play as they were with all their favourite items to hand. It would certainly allow us server owners to easily upgrade the server without too much of a problem. So please look into upgrading the current Voltz as is. That is what voltz is, not Red Voltz as its becoming. Well I downloaded voltz with much to my dismay. I have a few suggestions. First is fix the server download link. I was going to play the recommended version 2.0.4, but the server files link is broken. So I am currently playing 3.0.0c which I do like. I would like to see more tech related mods. 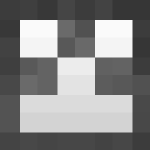 For starters Industrial craft 2 is in beta for Minecraft 1.6.4 & 1.7.2 http://forum.industrial-craft.net/index.php?page=Thread&threadID=9843. Buildcraft would be a nice addition http://www.mod-buildcraft.com/download/, as would Logistic pipes http://www.minecraftforum.net/topic/1831791-16xbuildcraft-logistics-pipes/. The recommended mod for tech in this mod pack seems to be Mekanism's which has been removed for what ever reasion? http://www.minecraftforum.net/topic/1361286-164-mekanism-v6-universal-cable-balloons-5x-ore-duplication-jetpacks/. How about iron chest http://www.minecraftforum.net/topic/981855-15-and-up-forge-universalironchests-50-minecraft-15-update/? I personally added in Tick Threading, a nice mod that muitie threads the minecraft server files and all mods that don't have threading http://forum.feed-the-beast.com/threads/tickthreading-concurrent-entity-tile-entity-ticks-and-other-optimisations.6498/. This mod should honestly be in all technic mod packs IMO. It makes my Tekkit lite world playable. Without Tick Theading install my server crashes pretty fast with a 4Ghz quadcore and 16Gb of ram dedicated to running the server. I also got this nice little crash yesterday. My resolution was to use MCedit to delete those chunks containing the compressor. In regards to the extra mods, cool ideas all around but I think the direction it's going in will still continue to be based around the calclavia mods (Skuli may correct me on that?). I'm not familiar with all of the mods you suggested but there undoubtedly similar functions in mods already in voltz 3.0 which we haven't explored yet. With the galacticraft crash, could you try to submit this as a pastebin link instead of directly in to your post? Just a minor housekeeping thing to keep the thread tidier. It'll make it easier for Skuli to pass it on to other devs in case they need to action anything in it as well. That means that they are still thinking obout adding mekanism. That's a bit too much of a leap of logic to make. From what i can tell, 3.0.0c is still not recommended yet because the mods in it are still in development. I would put money on Mekanism not coming back. Which in all honesty is a shame. Mekanism is stable, reliable, and compatable with almost every other mod included in Voltz. Without it (in my opinion), it isn't Voltz anymore. And even with such discussion we are not even given a simple reason as to why it is being excluded from the Voltz pack it has been a part of for so long. And the developer of Mekanism and calclavia don't have the same oppinion of how should everything go on...Haven't you realise yet that mekanism isn't anymore enven on the u.e web site? And now they can't even work toagather. in all honesty, I have created a working modpack with pretty much everything that voltz 3 has aside from the red thingy, but I have Mekanism in there instead. So far I have not found any issue running a working server with Mekanism and U.E. What mod controls the generation of basic ores (tin and copper) in this version. Two options for that Tobmonst3r, you can either use resonant induction or rotary craft. If you feel like holding right click for a long time you could also use the grindstone from applied energistics. Edit: I've just reread this and realised you probably mean world ore generation. That would be galacticraft. Thank you to those who have signed, and please do if you haven't already. Share this with all the Voltians you know so we can get up to 75!